I've Got Joy Rap is currently being played on radio stations across the USA and brings joy to the listeners. This is different song version of the I've Got Joy song from the full I've Got Joy CD & is backed up by powerful voices and a Gospel Choir. Reggie’s songs are currently playing on radio stations across the USA. The songs being played include: I’ve Got Joy, My Hope, and We Wait On You and also the I've Got Joy Rap single. He is quickly becoming known as a National Gospel Recording Artist and a songwriter, keyboardist, choir director, worship leader and minister. 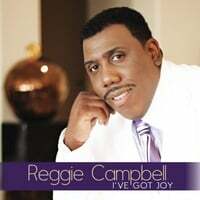 Just a few years ago Reggie played a major role in several artist's recording projects; including the artist, Jimmie Thomas of the Potter's House; Bishop T. D. Jakes church.